Best tacos ive ever eaten and their food quality is amazing! Try the new brisket, it is so bomb! Great location right by the beach makes the food taste even better! So happy my favorite tacos are now in Huntington Beach!!!! Finally! I used to get Jimboys tacos religiously when I went to Northern Ca. now I can get them in my hometown of Huntington Beach. Parmesan cheese on the outside makes them insanely good. Glad there’s no drive through....this addict needs a little bit of a buffer so my habit doesn’t go to 7 days a week. I’ll park & come in....probably the best “American style” tacos on earth. 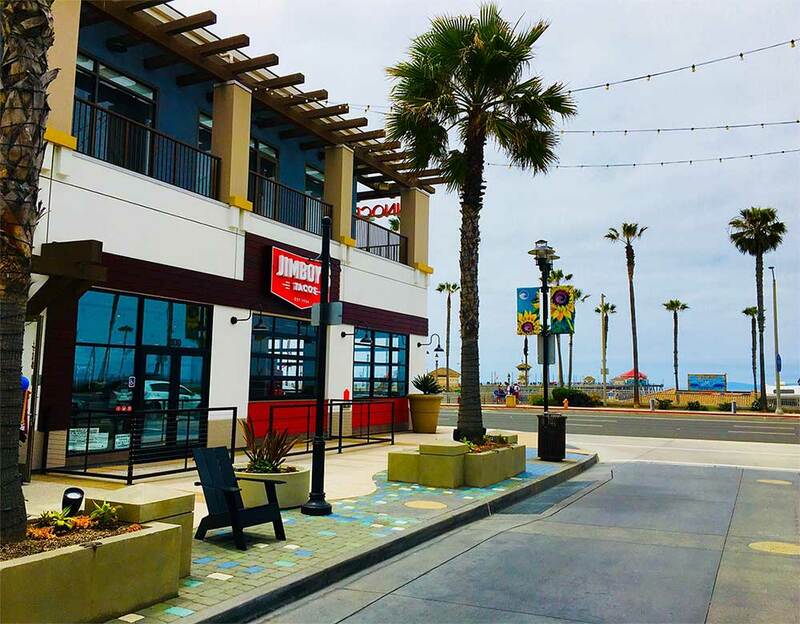 Brand new taco shop with excellent service, facing the beach! The spicy veggie tacos are divine & hard to believe only $3. The guacamole is some of the best I've ever had. The menu is super afforable for quick bites ($2-$9), esp right on the beach! I love that all the big windows were open on such a gorgeous day, & you can literally see the ocean right through the shop. It's so new but the team feels like they run it like a family restsurant already. The vibes & service were on point. I'm stoked to have an awesome place that I can get really good vegetarian options right next to the beach now! Join today and start earning rewards! $1 = 1 point, and each point gets you closer to free food. Download our app or sign up here. Fundraising goes best with tacos! You really can’t lose when you get a great meal and take home 20% of all sales from your group for your cause. Want the party without the prep? Let Jimboy’s cater to your guests with a spread of freshly prepared favorites. We come prepared, you come hungry.